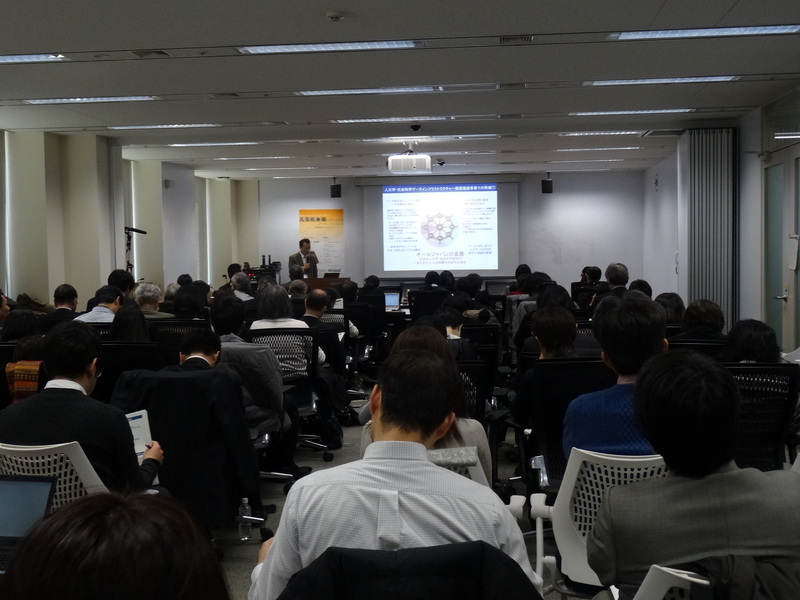 ﻿ International Scholarly Communication Initiative | Events | 2018 | The 4th SPARC Japan Seminar 2018"Open Science in the Humanities and Social Sciences: For Problem-Solving"
HOME > Events > 2018 > The 4th SPARC Japan Seminar 2018 "Open Science in the Humanities and Social Sciences: For Problem-Solving"
"Open Science in the Humanities and Social Sciences: For Problem-Solving"
The event was held on January 29, 2019. 66 people participated. Please find more infomation on the Japanese page. Slides and videos are available only on Japanese version page. 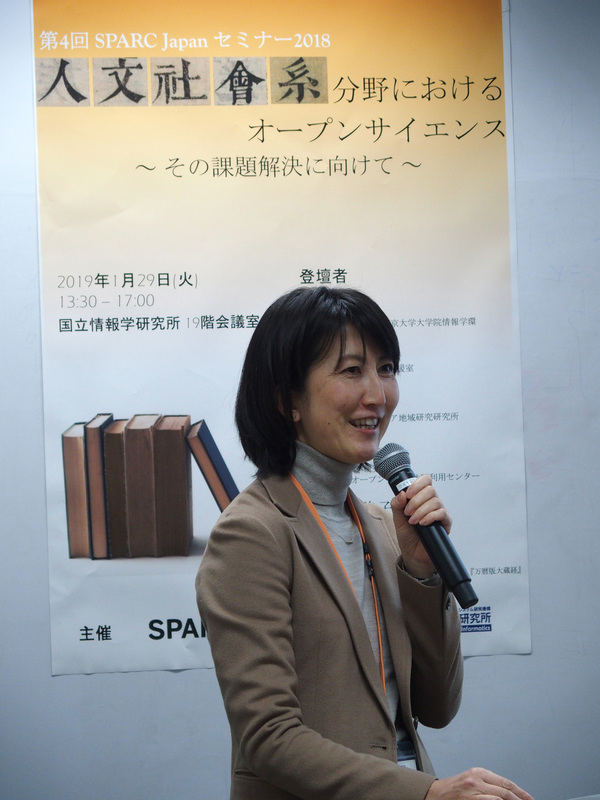 We, SPARC Japan, have held some seminars about Open Access in the Humanities and Social Sciences - "Latest Developments in Open Access - Humanities and Social Sciences-" in 2013, "How can we evaluate the work on Humanity and Social Sciences? - From the scholarly communication point of view-" in 2015, and confirmed the differences in circumstances with other academic fields and problems of the Humanities and Social Sciences. Now that a few years have passed since then, it can be said that the openness of the Humanities and Social Sciences is a situation with many problems to be solved despite progress. In recent years, there have been significant movements about openness of journal and data in the Humanities and Social Sciences in Japan. 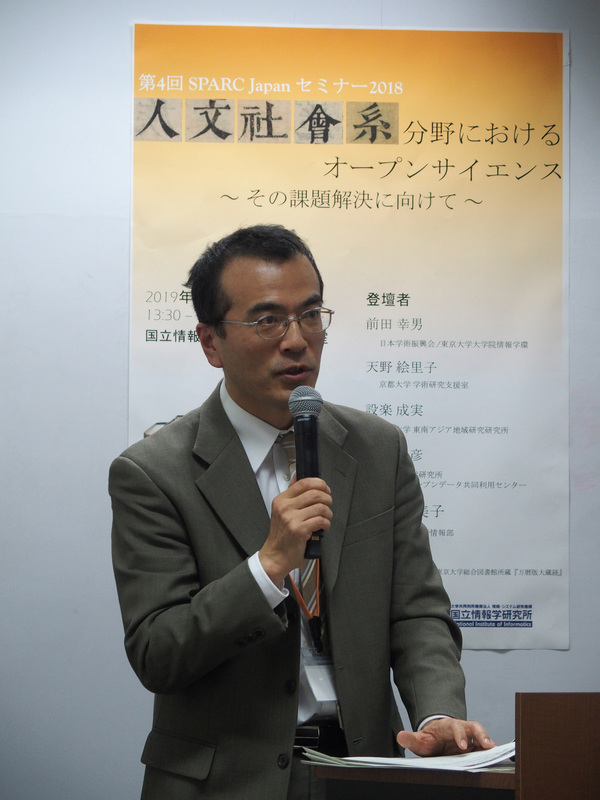 To take examples, the Japan Society for the Promotion of Science (JSPS) has held a program for the promotion of the Humanities and Social Sciences data infrastructure under the "Topic-Setting Program to Advance Cutting-Edge Humanities and Social Sciences Research" since 2018, which is especially expected the action in Social Sciences. The Research Organization of Information and Systems (ROIS) has established the "Joint Support-Center for Data Science Research (ROIS-DS)", and begun to support the "Center for Social Data Structuring" and the "Center for Open Data in the Humanities (CODH)" to promote the data driven research in the Humanities. Data around the Humanities and Social Sciences have been vigorously promoted in linguistics and social surveys, but at present, it is expected to further develop infrastructure. 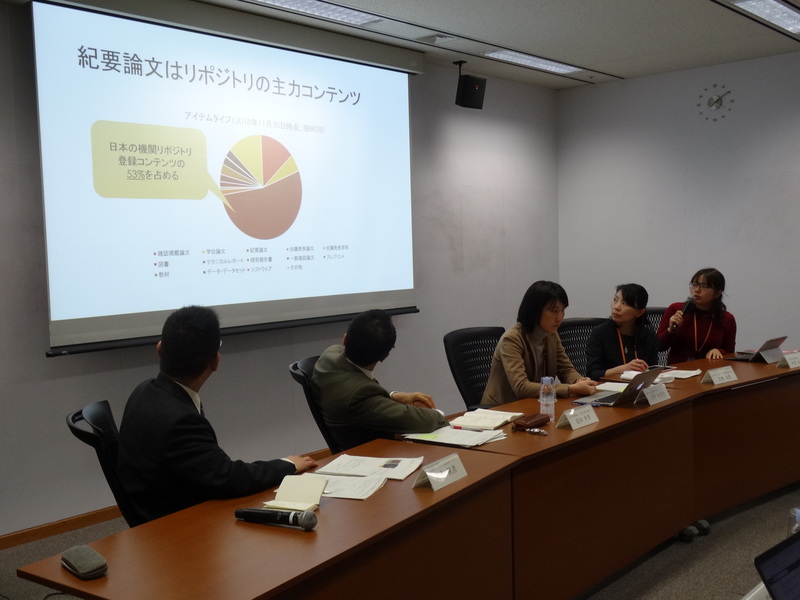 On the other hand, it has been not certain yet about openness according to academic-specific, researcher-specified needs in the Humanities that pointed out in the 2nd SPARC Japan Seminar 2013. In the Humanities and Social Sciences, monograph is equivalent to or more important than academic journals. Some research results have been registered to institutional repositories, but most are published in commercial publication and they are not good match with openness. And, many research results are covered in departmental bulletin or individual institute journals, not major synthetic academic journals. Although more and more research results are published in J-Stage and institutional repositories, the situation is that the role of the society and how to openness are inquired again. To become established the open science in the Humanities and Social Sciences, we have to confirm this situation concretely and share the problems. In this seminar, we take up some concrete practices, share newest information and have discussion, about organizing data infrastructure, open access monographs, and digitizing departmental bulletin with some explanation. 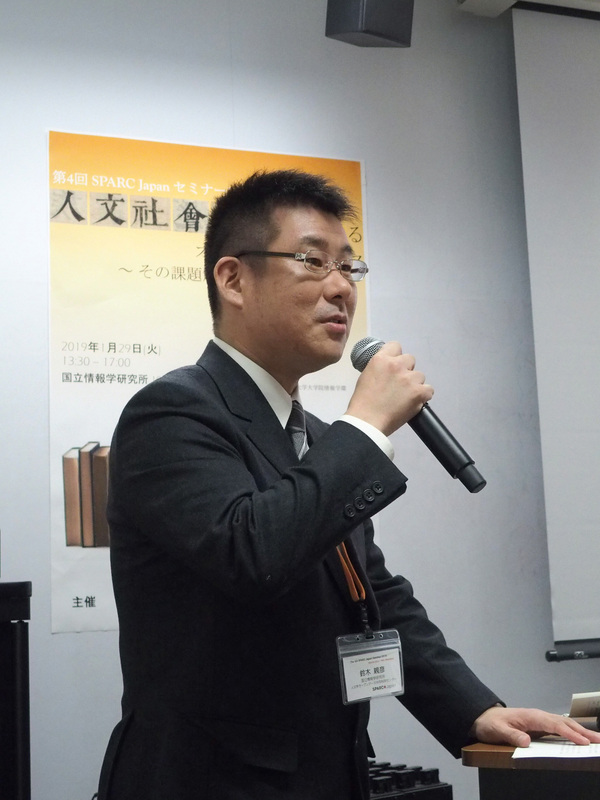 Yukio Maeda is senior researcher at JSPS / professor at Interfaculty Initiative in Information Studies, University of Tokyo. He has bachelor’s (1993) and master’s (1995) degrees in political science from the University of Tokyo. He earned Ph. D. in political science from the University of Michigan in 2001. He started teaching political science at Tokyo Metropolitan University in 2002 and then moved to University of Tokyo in 2006. He specializes in voting behavior and public opinion. He has been also working on social science data preservation and dissemination since he was graduate student. 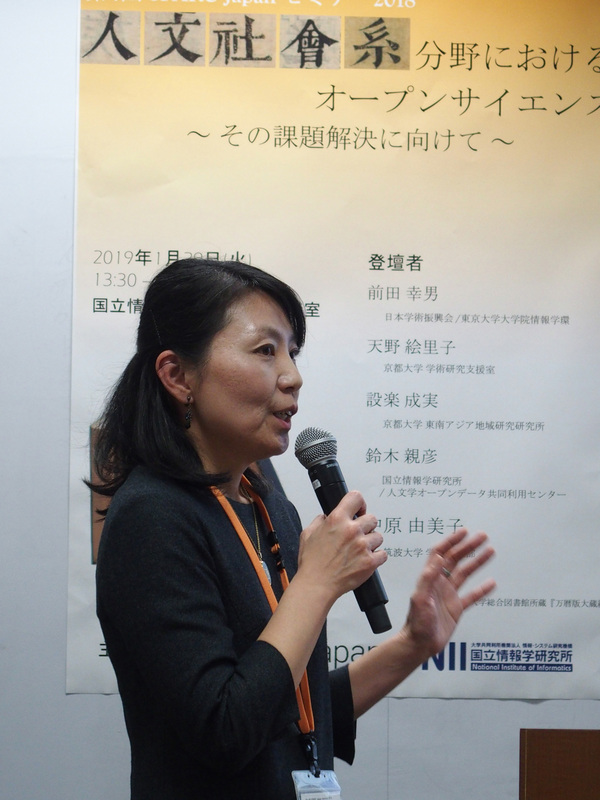 Eriko Amano has served as a Research Administrator in Kyoto University since 2014. 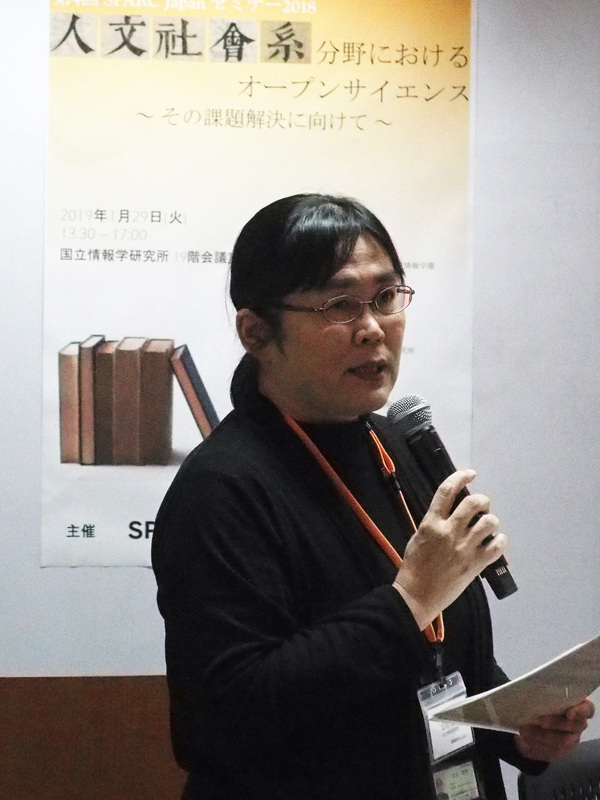 She served as a librarian in Kyoto University Library and Kyushu University Library from 1998 to 2014. She has received MBA and PhD from Doshisha University. Head of the Editorial Office, Center for Southeast Asian Studies (CSEAS), Kyoto University. She has been the managing editor of CSEAS’s academic journals and monograph series since 2011. Her research interest is bulletin journals published by Japanese universities and research institutes. A Member of the SPARC Japan Seminar 2018 plannning working group. A Project Researcher at the Center for Open Data in the Humanities (CODH) and National Institute of Informatics. After studying Art History, Cultural Resources Studies and Digital Humanities, his main research interest is in applying informatics and open data to humanities research fields. Currently, he is focusing on IIIF (international image interoperability framework). Repository Section, Division of Academic Information Planning, Department of Academic Information since April 2016. 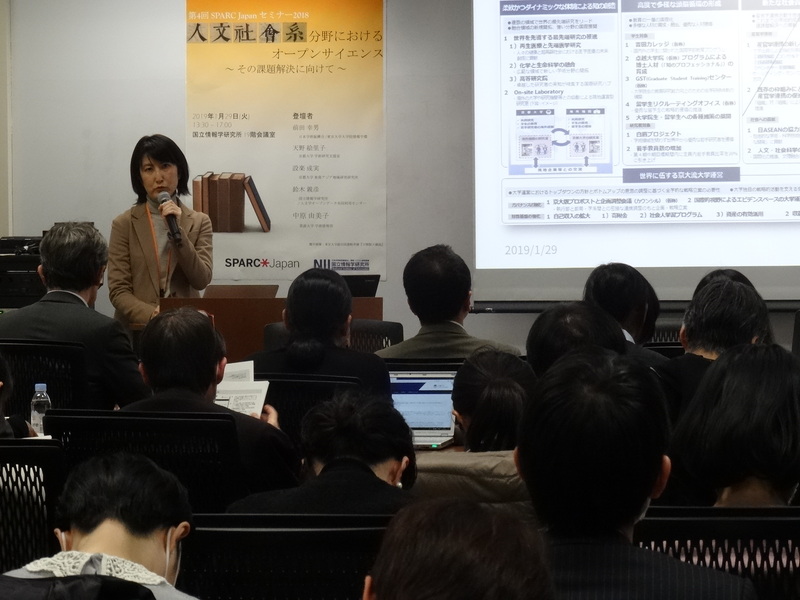 She is also a member of SCPJ Task Force established by the Japan Consortium for Open Access Repository (JPCOAR). A Member of the SPARC Japan Seminar 2018 plannning working group. JSPS started the project of data infrastructure for the humanities and social sciences in April 2018. The primary purpose of this project is to preserve the existing social survey and social science data and to build an infrastructure to share those data effectively. Enhancing data sharing through providing instructions and guidelines is also an important part of this activity. Until now, the efforts have been made to strengthen the existing data sharing activities and to encourage translation of data and metadata into English. Preparing instructions and guidelines are agenda in the near future. In order to promote the effective use of social science data provided through this project, it is important to construct a database through which users can effectively find data files suitable for their research purposes. The current plan of our data catalog will be briefly discussed. In Japan, Open Access (OA) monograph publishing as a method to disseminate research outputs in the Humanities and Social Sciences has not been widely discussed. The business models to realize Open Access publishing of Japanese academic monographs, such as Gold OA or cost sharing programs seen in English language academic publishing, have not been implemented, and even electronic publishing is not as advanced as overseas. What kind of effort is needed to promote OA in Japanese academic monograph publishing? This lecture provides materials for researchers as both author and reader, publishers, printing companies, libraries, and overseas readers, etc. to start a practical discussion on OA publishing in Japan. 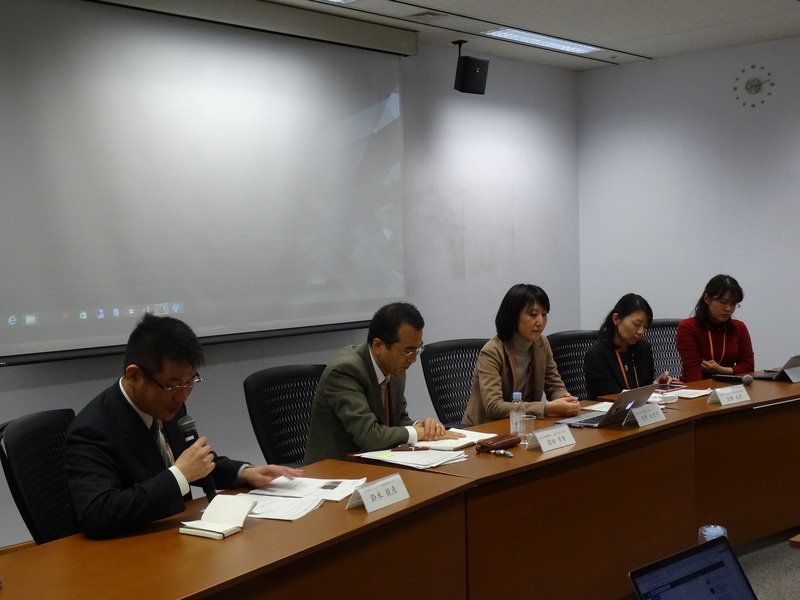 And it introduces the projects by Kyoto University Research Administration Office to support dissemination of research outputs in the Humanities and Social Sciences. I will review the current status of academic journals on area studies published in Japan from the point of view of digitization and open access. By introducing discussions held by our editorial committees when our center’s journals chose an open access publication, I will look at what kinds of support and collaboration are sought by editors.